Gertrud Adelheid Alice (nickname Adee) Schoon was born on the 17th of January 1957 in Salisbury, Rhodesia (now Harare, Zimbabwe). During her youth she also lived 4,5 years in Poona, India and 2 years in Tehran, Iran and had a predominantly English-spoken education. In 1974 she obtained her VWO certificate at the Van der Putt Lyceum in Eindhoven. She studied biology at Leiden University, majoring in ethology and ecology, and graduated (doctoraal) in 1981. In 1983 she obtained her teaching degree at the University of Amsterdam. In 1997 she obtained her doctorate on the thesis “The performance of dogs in identifying humans by scent” at Leiden University. Although officially a doctorate in law, the project was a combination of animal behaviour and forensic science. From 1981 to 1983 she did ecological research on fish larvae at the Limnological Institute in Oosterzee. In 1984 she worked as biology teacher at the Christelijke Scholengemeenschap in Joure. In 1985 she joined the computer company Wang Nederland BV, where she worked until 1991. From 1991 to 2010, she has been with Leiden University. From 1991 to 1996 she worked as researcher with the Department of Criminalistics and Forensic Science, where she conducted research into the ability of dogs to recognize humans by scent. This research was funded by the Ministry of Justice, and led to an advice to change the methodology of scent identification line-ups used by the police. This advice has, for the greater part, been implemented. The research also led to a number of scientific papers and a PhD thesis in 1997. From 1997 to the end of 2010 she worked as researcher with the Animal Behaviour group of the Institute of Evolutionary and Ecological Sciences, funded by the Netherlands’ National Police Agency. She was posted with the Canine Unit of the Netherlands National Police Agency, where she was responsible for scientific support, originally on the human scent identification work but this has since expanded into other areas. She conducted research on relevant odour detection topics and participates in scientific research projects on behalf of the Canine Unit (for example: human scent analysis study by International Forensic Research Institute, Miami, Florida). As part of her job, she taught dog handlers, but she also regularly gave lectures to police agencies, forensic science and animal behaviour students, and to members of the judiciary. She regularly attends international conferences to present papers, and is invited to talks both nationally and internationally. Since her posting with the Canine Unit, she has been called as an expert witness on scent identification line-ups regularly by the Dutch courts (both the lower courts and the court of appeal). In November 1999 she also testified in Germany, in Landgericht Limburg, in a murder case where scent identification line-ups were part of the evidence presented. In February 2002 she presented the Dutch methodology to the Finnish police and judiciary, and as a result a three-year project was approved to introduce scent identification line-ups in Finland. This project was a success and the methodology is still in use. The methodology has also been presented to the Association of Chief of Police Officers in the UK, and to the Guardia Civil of Spain who were considering implementation in their countries. In September 2014 she was invited to talk on her ideas on the use of scent lineups at a workshop on the topic organized by the University of Prague with participation of the Czech police. In May 2002 she evaluated a Belgian project (Apopo) in Tanzania on the use of the African Giant Pouched Rats in detecting landmines, and in 2006 she was invited to sit on a Scientific Advisory Committee to evaluate a canine landmine detection research project by the Geneva International Centre for Humanitarian Demining (GICHD). Since 2008 she is also a board member of Apopo based on her odour detection/animal behaviour expertise. She is a regular speaker at Forensic Science conferences and more specifically dog-oriented conferences, and has published a number of papers and a book on the subject. She was an invited member of the Interpol European Working Group on the use of Police Dogs in Crime Investigation that terminated its work in 2003 after a 4 year Interpol mandate. She is now an invited member of the recently established US Scientific Working Group on the use of Dogs and Orthogonal detector Guidelines (SWGDOG). She is regularly requested to peer-review papers in different scientific journals. Her work at the Canine Unit expanded beyond human scent. In October 2006 she published a paper on the training and testing of explosive detection dogs on TATP, a home made explosive popular with terrorists. On behalf of the Unit, she was part of an international team that has been awarded a European Union tender for a study on the use of explosive detection dogs in the field of aviation security, which completed its work in 2008. She has developed training modules for handlers to increase their level of understanding in the field of learning, scent detection, and odours. These are now part of the regular training of handlers in the Netherlands. Other research plans, training guidelines and quality monitoring plans are currently being developed together with other government organisations such as the National Crime Squad and Customs. In 2008 she started as a consultant with the Global Training Centre (GTC) of Norwegian People’s Aid, an NGO that is very active in humanitarian demining in different countries. She researched aspects of their puppy program and advised on standardising the testing protocol. Later she participated on behalf of GTC in a research program funded by GICHD on the use of dogs and rats for REST (Remote Explosive Scent Tracing) for landmine detection. In 2010 she founded Animal Detection Consultancy with the mission to use, improve and expand the olfactory detection capabilities of animal/handler teams through focused research, training and advice, primarily in the field of human security and welfare. Her consultancy with GTC is part of this work, and she has set up an education program for handlers, team leaders, trainers and site managers in dog-related aspects in mine detection tasks. Under another contract she is working with Fjellanger Dog Training Academy in Bergen, Norway for research and education. A first research project on using Remote Scent Tracing to detect corrosion under insulation has been completed, further research in the same field is ongoing and new research projects are starting up. The education projects involve 1-2 day seminars “The science behind detection dogs” in different countries (Norway, Austria, Finland). Since 2011 she also works directly for the Canine Unit of the Netherlands National Police Agency, where she continues the advisory, educational and research work she did there through her posting with the Leiden University earlier. In 2012 she wrote a review on the training of Medical Detection Dogs for the Royal Dutch Guide Dog Society, and became a member of their scientific board. She advises them on a Medical Detection Dog pilot program they have running now, training dogs to detect colon cancer. She also became one of the Canine Specialists and an instructor in Frontex, a European organization aimed at promoting, coordinating and developing EU border management. In 2014 she began as a teacher at Tinley Academy and is giving courses on “Nosework”, which involves all aspects of detection dog training. Schoon, G.A.A. 1996. Scent identification line-ups by dogs (Canis familiaris): experimental design and forensic application. Applied Animal Behaviour Science 49: 257-267. Schoon, G.A.A. 1996. De Betrouwbaarheid van de Sorteerproef. Rapport R.U. Leiden, Juridische Faculteit, afdeling criminalistiek/Instituut voor Evolutionaire en Ecologische Wetenschappen, sectie ethologie. Rapport voor Ministerie van Justitie. Schoon, G.A.A. 1997. The performance of dogs in identifying humans by scent. PhD thesis, Leiden University. Schoon. G.A.A. 1999. Human Scent Identification using Trained Canines. Proceeding of the “First International Conference on Forensic Human Identification in the Millenium”, Londen, United Kingdom. Schoon, G.A.A. 2000. De bewijzende waarde van de geuridentificatieproef. In: Criminalistiek, forensische deskundigen en strafrechtspleging. K. Boonen, A.C. ’t Hart & Th.A. de Roos (ed. ), Gouda Quint Deventer: 117-134. Schoon, G.A.A. 2000. Het opsporen en identificeren van geuren door speurhonden van de politie. Natuurkundige Voordrachten Nieuwe Reeks 78. Schoon, G.A.A. 2001 The influence of experimental setup parameters of scent identification lineups on their reliability. Problemy Kriminalistyki 236: 43-49. Schoon, G.A.A. 2001. Scent identification line-ups using trained dogs in The Netherlands. Problems of Forensic Sciences, 67: 175-183. Schoon, A. & Haak, R. 2002. K9 suspect discrimination. Detselig Enterprises, Calgary. Schoon, A. & Van Koppen, P. 2002. Identificatie door honden. In: P.J. van Koppen, D.J. Hessing, H.L.G.J. Merckelbach & H.F.M. Crombag (eds), Het Recht van Binnen, Kluwer Deventer. Schoon, G.A.A. (2005) Factoren die van invloed zijn op de bewijswaarde van geuridentificatieproeven. In: Sjerps, M.J. & Coster van Voorhout, J.A. (ed), Het onzekere bewijs. Kluwer Deventer, pp. 383-398. Schoon, A., Götz, S., Heuven, M., Vogel, M. & Karst, U (2006) Training and Testing Explosive Detection Dogs in Detecting Triacetone Triperoxide. Forensic Science Communications Vol 8 (40) http://www.fbi.gov/hq/lab/fsc/current/index.htm. Curran, A.M., C.F. Ramirez, A.A. Schoon & K.G. Furton (2007) The frequency of occurrence and discriminatory power of compounds found in human scent across a population determined by SPME-GC/MS. Journal of Chromatography B, 846: 86-97. Schoon, G.A.A., A.M. Curran & K.G. Furton (2009) Odor and biometrics. In: Encyclopedia on Biometric Recognition, S.Z. Li & A.K. Jain (eds), Springer-Verlag. Member of the Scientific Working Group on the use of Dogs and Orthogonal detector Guidelines. Meetings twice a year (2005 –now). 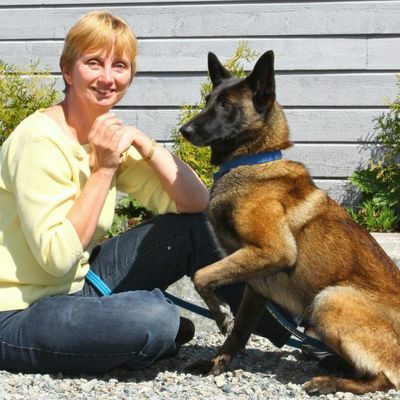 Scientific advisor to the Global Training Center for Mine Detection Dogs of the Norwegian People’s Aid. Conducting research projects in Sarajevo and in Morogoro, advisory work and producing relevant publications (started 2008). Member of the EU working group on explosive detection dogs (since 2013). Workshop “Scent identification lineups”, Czech University of Life Sciences , September 2014, Prague Czech Republic. Topic: Scent identification lineups: lessons from the past and present. International Working Dog Breeding Association, October 2013, San Antonio USA. Topic: Detection of corrosion under insulation using trained dogs. Topic: Detection dog training: odours, scent perception and learning. Military Dog School Norway, training seminar October 2012, Oslo Norway. Canine Science and Technology Forum, April 2012, London, UK. Topic: Backchaining procedure for training. International Working Dog Breeding Association, October 2011, Sun City, South Africa.